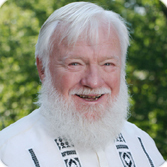 "Ortrun and Carl Franklin, Coptic Ministers for 30 years, are nationally known workshop leaders. They have had extensive experience in the field of metaphysics for many years. Their advanced perspectives in the areas of self-awareness & futuristic concepts are life changing for those who experience their public events." We have dedicated our lives to be of service to individuals, assisting them in moving smoothly through life’s changes to attain their maximum potential by offering Teleseminars/Webinars, Classes, Workshops, Spiritual/Intuitive Services , MP3 Seminar Replays, Audio CD's and FREE Resources . Please, peruse our site, become comfortable with it and if we can be of service, contact us and visit our testimonials page to read about our clients perspectves of our work. Carl Franklin is a Metaphysical Researcher. He holds a Masters degree in Theology and Psychology and is a Coptic minister. While studying for his counseling degree, he became interested in utilizing both his conscious and subconscious mind. Practicing self hypnosis and meditation has allowed him to go beyond the 5 senses. He is a dowser and channeler. He has the ability to communicate with the Higher Realm. In his Life Script readings, he is able to tap into the Akasic record of individuals helping them to remember their life’s plan. Carl is an international speaker and workshop presenter on various topics such as: Spiritual Parapsychology, The Crystal/Indigo Children, The Ascension Process, The Spiritual Realm, Our multi dimensional selves, and 5th Dimensional Christianity. Carl and Ortrun provide all ministerial services: Spiritual Counseling, Ceremony of Marriage, Naming Ceremonies, Celebration of Life Ceremony. All are uniquely designed. Ortrun Franklin is the Founder of "Key of Life, Meditation Experience", Master Initiator of the "Key of Life: The Mystery School" class series; student of the writings of Hamid Bey (a seven ring Master of an Egyptian Mystery School); and a Coptic minister. She hosts a monthly webcam radio show entitled "Egyptian Healing Temples" through the WIN (Intuitive and Wisdom Network). Ortrun's area of expertise is meditation and considers it "her way of life." 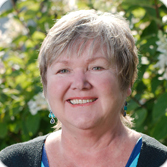 She is an international presenter and sets the tone with her opening meditations at Spiritual/Metaphysical conferences in all of North America; plus, facilitates seminars, workshops and lectures . She is the author/presenter/recorder of numerous professional meditation/visualization CD’s, which deal with healing self and the planet. The titles of her CD’s are; Stairway to Higher Ascension, Pyramid Light Initiation, Sakkara Healing Meditation and World Peace through Individual Freedom Meditation. They are channeled by Spirit. The combination of music and her melodic voice is a gift to the world, which brings about serenity, wholeness and sense of total union with the One. Ortrun has the ability to tune in to the Higher Realm (the Masters, Guides, Angels Teachers and loved ones). In order that all her offerings come from the highest, she invokes the presence of her I AM and the I AM of the individual with whom she works. She is trained in Reiki healing, on-hands healing, emotional release, spirit release and placement, crystals, oil and flower essences, dowsing and numerology. With the guidance of her Spirit Family, these learnings are incorporated in her personal services: Spiritual Divination Readings, Chakra Clearing and Balancing, Disembodied Spirit Release and Intuitive Counseling. .